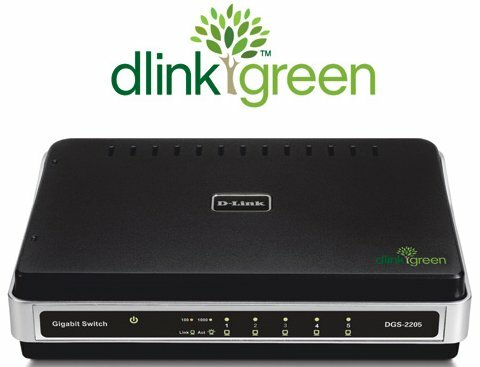 What D-Link products support the 802.3af protocol(Support POE)? IEEE 802.3af, also known as Power over Ethernet(POE), defines the standard for building Ethernet power-sourcing equipment and powered terminals. Switch IP address to meet the specification of your networking address scheme. The Switch is also assigned a unique MAC address by the factory. 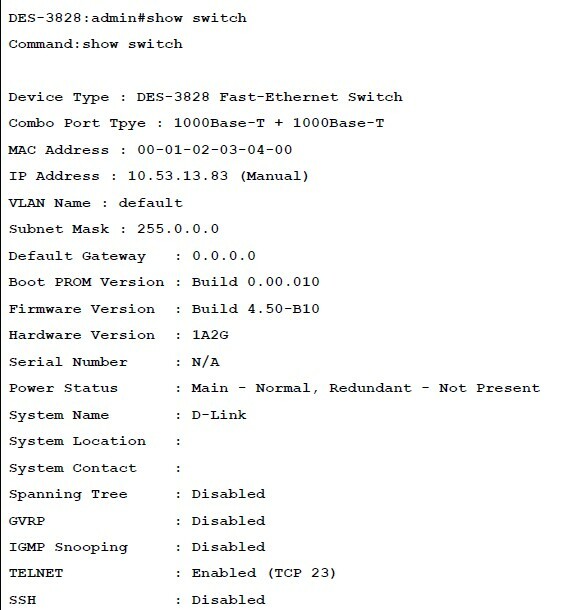 This MAC address cannot be changed, and can be found by entering the command “show switch” into the command line interface, as shown below. window on the Configuration menu. The IP address for the Switch must be set before it can be managed with the Web-based manager. The Switch IP address can be automatically set using BOOTP or DHCP protocols, in which case the actual address assigned to the Switch must be known. Starting at the command line prompt, enter the commands. Where the x’s represent the IP address to be assigned to the IP interface named System and the y’s represent the corresponding subnet mask. assigned to the IP interface named System and the z represents the corresponding number of subnets in CIDR notation. 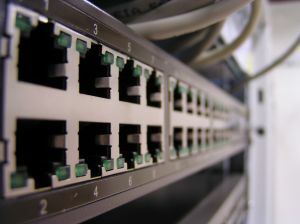 The IP interface named System on the Switch can be assigned an IP address and subnet mask, and then be used to connect a management station to the Switch’s Telnet or Web-based management agent. In the above example, the Switch was assigned an IP address of 10.53.13.83 with a subnet mask of 255.0.0.0. The user may also use the CIDR form to set the address (10.53.13.83/8). The system message Success indicates that the command was executed successfully. The Switch can now be configured and managed via Telnet and the CLI or via the Web-based management. The site where you install the D-Link Switch may greatly affect its performance. Please follow these guidelines for setting up the Switch. ●Install the Switch on a sturdy, level surface that can support at least 4.24kg (9.35lbs) of weight. Do not place heavy objects on the Switch. ●The power outlet should be within 1.82 meters (6 feet) of the Switch. ●Visually inspect the power cord and see that it is fully secured to the AC/DC power port. ●Make sure that there is proper heat dissipation from and adequate ventilation around the Switch. Leave at least 10 cm (4 inches) of space at the front and rear of the Switch for ventilation. ●Install the Switch in a fairly cool and dry place for the acceptable temperature and humidity operating ranges. ●Install the Switch in a site free from strong electromagnetic field generators (such as motors), vibration, dust, and direct exposure to sunlight. ●When installing the Switch on a level surface, attach the rubber feet to the bottom of the device. The rubber feet cushion the Switch, protect the casing from scratches and prevent it from scratching other surfaces.